Samsung officially started to update the Galaxy Music GT-S6010 to Android 4.1.2 Jelly Bean. 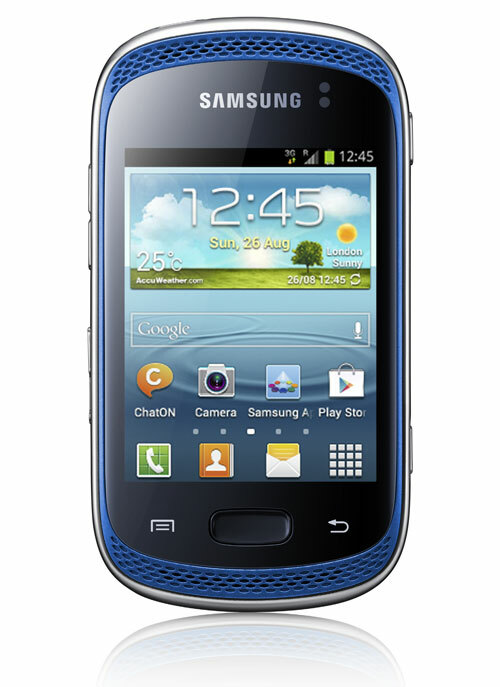 The Galaxy Music uses a 3-inch QVGA display, 3 megapixel camera, Bluetooth 3.0, Wi-Fi, GPS and many more other features. Samsung put their own new TouchWiz Nature UX interface in the new update.. According to Samsung, TouchWiz is one of the easiest Android-UI out now. Thanks to Android 4.1.2 Jelly Bean the device will feel faster and the battery will be better. You can update your device in the United Kingdom by Samsung KIES or OTA. well i tryed to install it via odin but i only got bootloop so ahhahahaa i guess must wait for a realease in other country to try again…………. i have galaxy music s 6010 it says jellybean 4.1.2 is available for it but when i go on kies it just has the same firmware as i got now how do i update it to jellybean ? when jelly bean update for Indonesian galaxy s 2? I hopegalaxy mini 2 is next !! Dear Galaxy Plus user Samsung will prode the android 5.0 with in few months. Stay with samsung. i wonder whether samsung do provide jelly bean for ace 2 in vein……. ohh yaa that’s so funny that GALAXY MUSIC like cheaper phone than Ace Plus, Mini 2, Beam got an update first…. Still waiting for 4.2.2 jellybean update for the Galaxy S3. Maybe next month? Next shud be ace plus… Waiting sinc 7 month!!! Samsung said they will not update beyond 2.3.6 back in 2011. You can however easily install custom roms made from independent software developers with the latest running 4.2.2. Just type in samsung i9000 4.2.2 on a search engine or youtube. Come on, that’s an old device, and it already got two major updates, while other flagships usually get one (take the HTC Sensation for example). Even if one more did come, you wouldn’t get past 4.0 for SGS. Those were Samsung’s old days of poor support, now it’s awesome for low, mid and high-end devices. I think galaxy mini 2 is next ! !